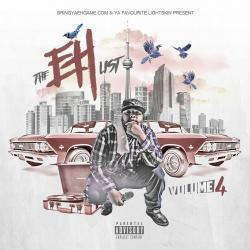 New video from Toronto rappers Stretch Blaze and Eazyano, the new song is called “Nuttin Changin”. The video was shot and directed by 416 Prince Beatz. This entry was posted in RECENT UPDATES and tagged Stretch Blaze x Eazyano "Nuttin Changin". Bookmark the permalink. Download the new mixtape "The Name Is iSH"